It has been a global trend in recent years for governments to release data for development of applications in the industry. Open Data for no doubt has become a locomotive that drives innovation and growth as well as creates job opportunities. 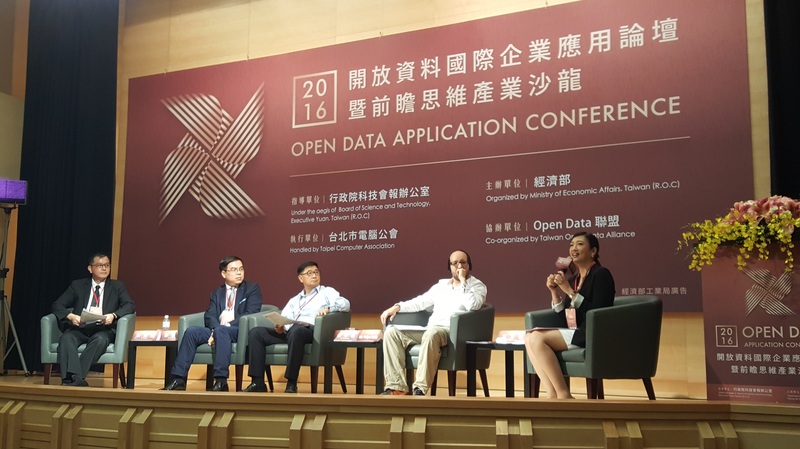 To better understand what is going on in the world of Open Data, the Industrial Development Bureau (IDB) of MOEA held the Open Data Application Conference 2016 today, inviting speakers from Google and Mapbox, one of the USA Open Data 500 to share their insights. More than 250 representatives of the industry, government, academia and research institutes attended the conference and exchanged ideas with international experts in the hope to develop more value-added applications and explore new business opportunities. Wu Tsung-Tsong, Minister without Portfolio pointed out during the opening ceremony that Open Data and its applications and governance are very important parts of data economics nowadays. He learned that quite a few developers have incorporated data released by government into services in agriculture, transport and tourism and started their own businesses. Government is determined to make more data available to the public in the future. Wu Ming-Chi, Director General of IDB echoed with Wu by saying it is not only the industry that will be changed by Open Data, but how the administration runs changes as well. The IDB will continue to help enterprises utilize Open Government Data to develop killer applications in the near future. Mr. Hoffa, developer advocate and software engineer for Google’s Open Data project shared how their partnering companies in different countries benefit from Google Open Data solutions. He also went deep into how Google manages Open Data and takes it use in business to the new level. Yang Xinnong, director for business development in Asia of the globally-renowned start-up Mapbox talked about how they made it to USA Open Data 500 within three years of its founding. Mapbox optimizes geographic Open Data to provide all kinds of mapping services. That makes Mapbox a favorite partner for some international titans, like Evernote, Yelp, Spotify, Financial Times and Uber. In the last industry talk session, speakers were talking about Open Data in a more interactive way. They exchanged ideas with local participants and the conference created fruitful results.